Problem . 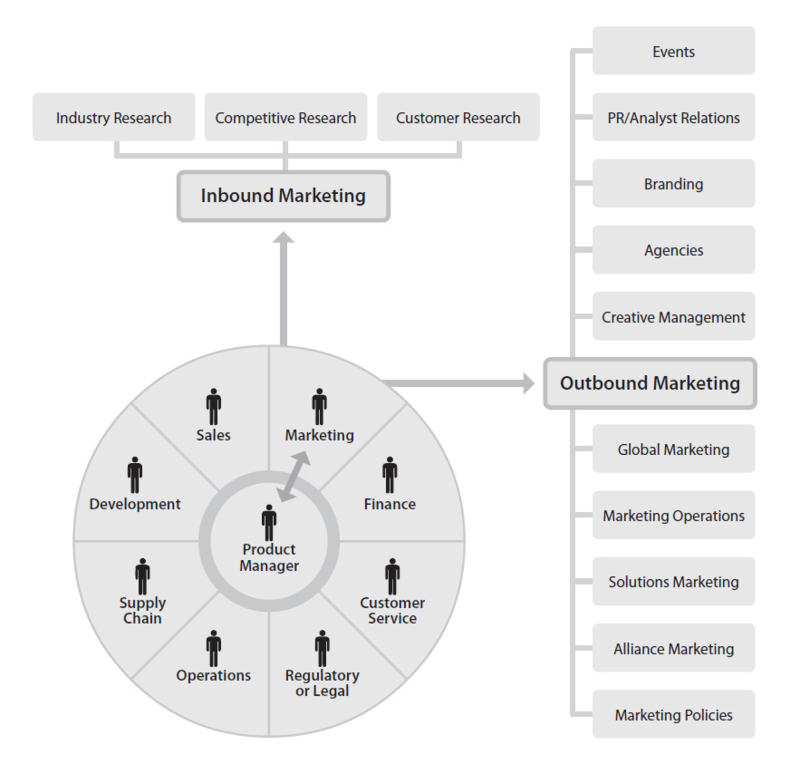 What is the product team’s relationship to the marketing organization ? . Action . Below diagram depicts the broad relationship Outcome . An undertanding of the connection between product management and marketing. In smaller firms the above diagram might have some overlap. . . . Source: Haines, S. (n.d.). The Product Manager’s Desk Reference.